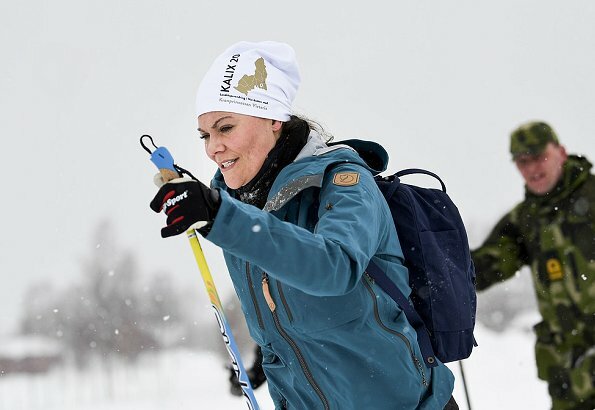 Crown Princess Victoria's 17th hiking in the landscape of Sweden took place in Norrbotten on March 20. 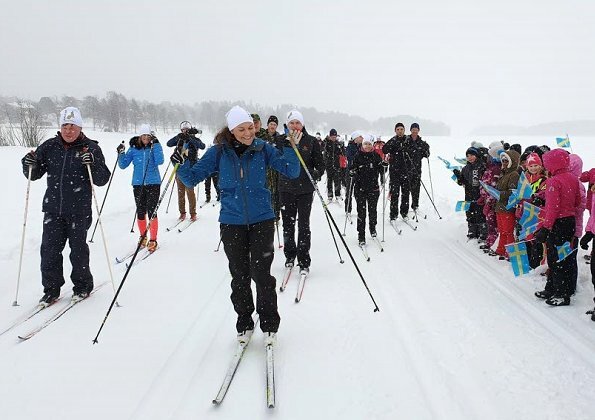 The Crown Princess started her hiking on the river below Filipsborg together with Kalix ski club and the public. 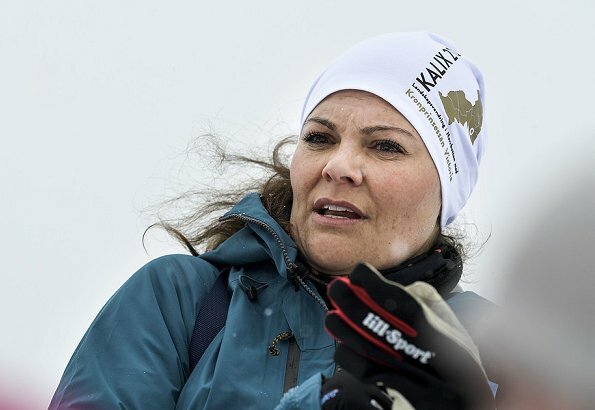 During that hiking, The Crown Princess got the chance to meet non profit associations working in the region. Awwww. The photos with the little one in pink are precious. Me too , totally agree. 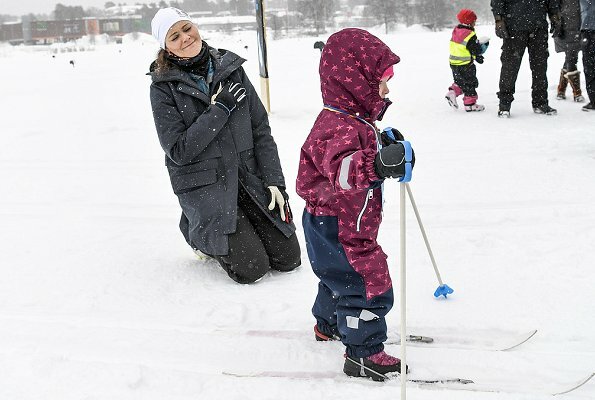 Fun in the snow, with her fellow Swedes. What else can one want. I think she is at her best in these expeditions. She looks so happy. 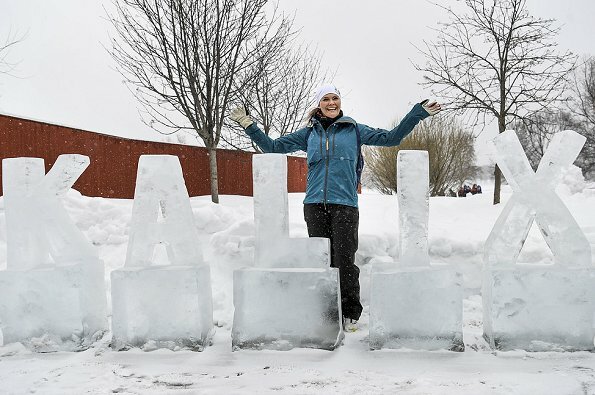 She is Swedish Tourism’s biggest asset. I agree. These hikes were a present given to her on her 40th birthday by the 25 provinces of the country. I think it is such an ingenious idea - perfect for her to tour the country and be outdoors in nature (which she loves), perfect for her as the future regent to connect with the people, perfect for her in order to raise awareness for causes she´s passionate about (nature, environment, people exercising enough etc), and perfect for the various provinces to show off their assets in terms of natural attractiveness and warm hospitality. 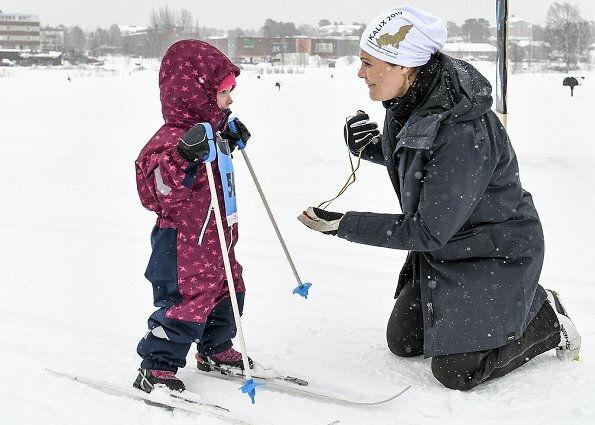 Also, since these tours by the crown princess naturally get a lot of media attention, it´s the perfect marketing idea for the whole country being promoted bit by bit really showing Sweden´s beautiful and quite diverse landscapes through the seasons. CPV has such a beautiful spirit, and that 2nd last photo! Bless! Thank you; Hellen Electra, for all this lovely pics (Östersund as well).